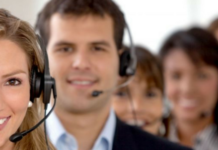 Your call center is a critical part of your dealership’s contact with your customers, and because customers are often calling in with questions or concerns, there’s a lot of opportunities to create high satisfaction and repeat business. You just need to be sure you’re using the right call center metrics to improve customer experiences with your dealership. The role of customer satisfaction is only growing in the equation of your success. Think about it: a couple of decades ago, a dissatisfied customer might share their experiences with a few people that they interact with in person. Now, they can instantly tell hundreds of their friends and acquaintances on social media, then go on to post a negative review on Yelp. Providing excellent customer service is more important than ever. Wait time: This one is pretty straightforward, but the longer your customers are on hold, waiting for an agent to answer their question, the more dissatisfied they become. You should shoot for an average of 60 to 90 seconds of wait time. Any longer and your customer may be getting frustrated. It may not be the most important call center metric, but for some customers, it’s the first impression they have of your dealership, so it should be positive. First call resolution: It is now widely accepted that first call resolution should be at the top of your call center metrics list. 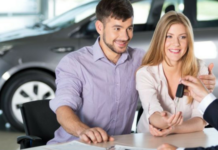 Not only is it important for customer satisfaction levels, but it also impacts your dealership in areas like operating costs and employee satisfaction. 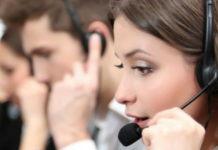 Give your call center agents the authority they need to resolve as many issues in one call as possible. Transfer rate: This metric measures how a customer has moved around to different agents or managers during a phone call. If you rate poorly in this area, you may want to reassess the menu that customers encounter when they call in, or you may need to give call center agents more freedom to resolve issues without transferring the customer through the phone system. This metric is closely tied to customer satisfaction, and it’s easy to see why. Anyone that has found themselves telling the same story to several different people at the same company, trying to get resolution, knows how frustrating this can be. Customer call frequency: This metric pairs with first call resolution, because it tracks how often each customer needs call center assistance. If you have customers calling in multiple times, even if it’s just to ask questions, you aren’t providing resources in a way that’s convenient to them. The importance of these call center metrics come into clear focus when you consider the goal of creating lifelong loyalty to your dealership. When you handle a concern well, you only increase your customer’s loyalty and cause them to come to you first the next time they need a vehicle. Previous articleCar Design: What Standards Are on the Way Out?